Taxonomy in essence is an agreed way to treat metadata - data about data. 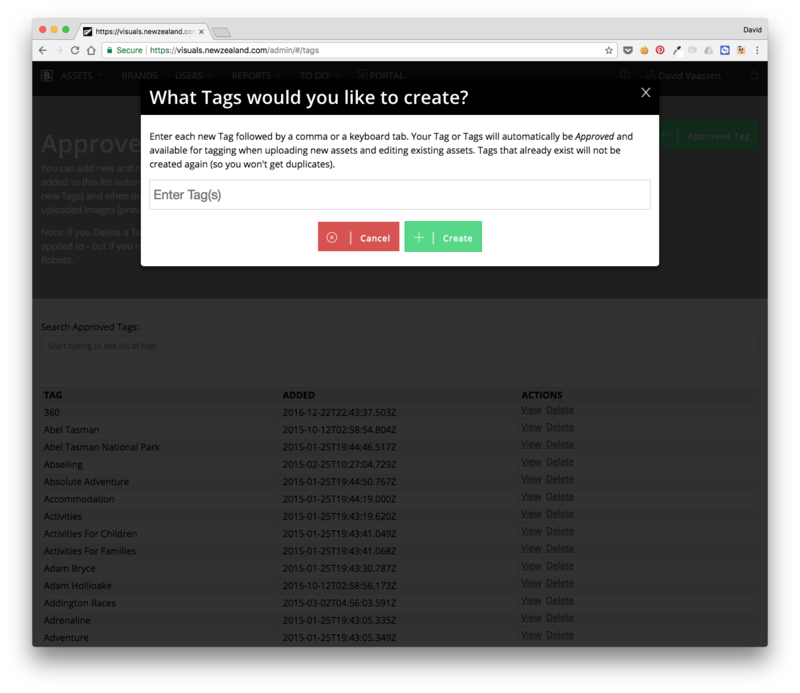 In Brandkit we make managing a custom Taxonomy as simple as possible and in line with a no-folder, non-hierarchical approach - we use a simple to understand approved Tags concept to control how metadata is applied to Assets. Account Admins (with the Manage Tags ability) can Manage Approved Tags. In Admin and provided you have the Manage Tags ability. In the main Admin navigation menu, click Assets > Manage Approved Tags. 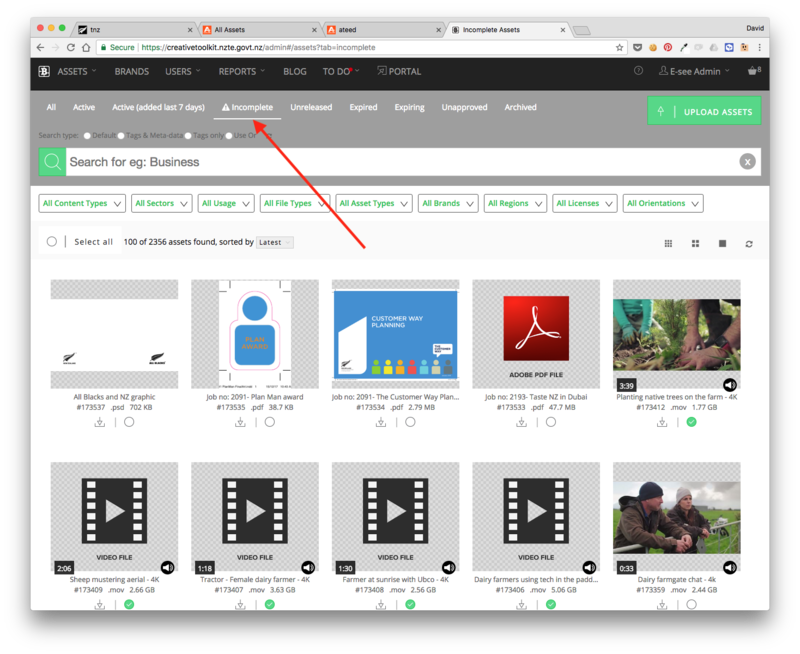 This will display the current Approved Tags (Your taxonomy),m the date added and a link to View the Assets tagged with the Tag and the ability to delete the tag. You can also Edit the tag by double clicking in the Tag name cell. Once an Approved Tag is created as above, other User Roles with the Asset Tag ability can then use those tags to apply to Assets. Without the Manage Tags ability it's not possible to create new tags*. * The exception to this rule is that new Tags can be automatically created by AI Auto Tagging and by Bulk metadata import via csv. Note that only Admins have the ability to Import metadata (an advanced feature that requires additional training). These Tags will be automatically added to the Approved Tags list, but can be Deleted or Blacklisted (preventing them from being added in the future). 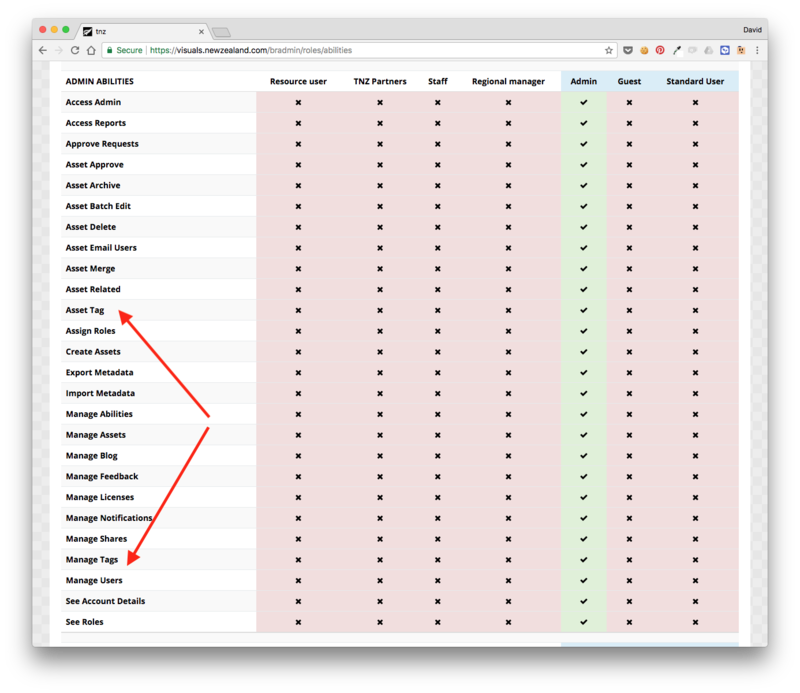 Contact Brandkit Support if you have Tags you wish to blacklist. Another way to enhance your Taxonomy is with Primary Tags. You can also setup certain Approved Tags to be Primary. The purpose of this is to ensure Assets have at least one of your Primary tags. Typically this is used to create a basic hierarchy of say Categories or Sectors. 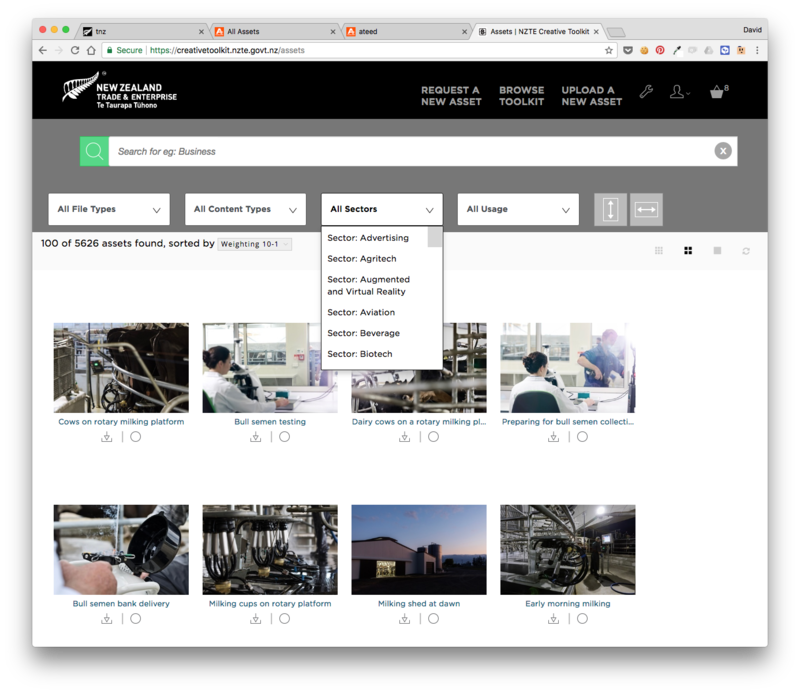 You might for example setup a number of Tags as Sector Tags so that all Assets are organised into at least one sector, as NZTE has done in the example above. Then set those Tags as Primary Tags. We then show in your Admin interface an Incomplete status for Assets that don't yet have at least one Primary tag. Incomplete status doesn't prevent the Asset from appearing in the Portal, nor does that status ever show up for Portal Users. We just flag the Asset as Incomplete, and show the Asset in the Incomplete Assets grid, for Admins only, in the Admin interface (as seen above). Once the Asset is tagged with at least one of the Primary Tags (in this example a Sector tag such as "Sector:Advertising") the Incomplete status will be removed.